Last week, our Talbot House students and staff hosted the annual Talbot House Dinner. Sixth Form students, Jorge Stevenson and Isaac Harris give us a run through of the evening. 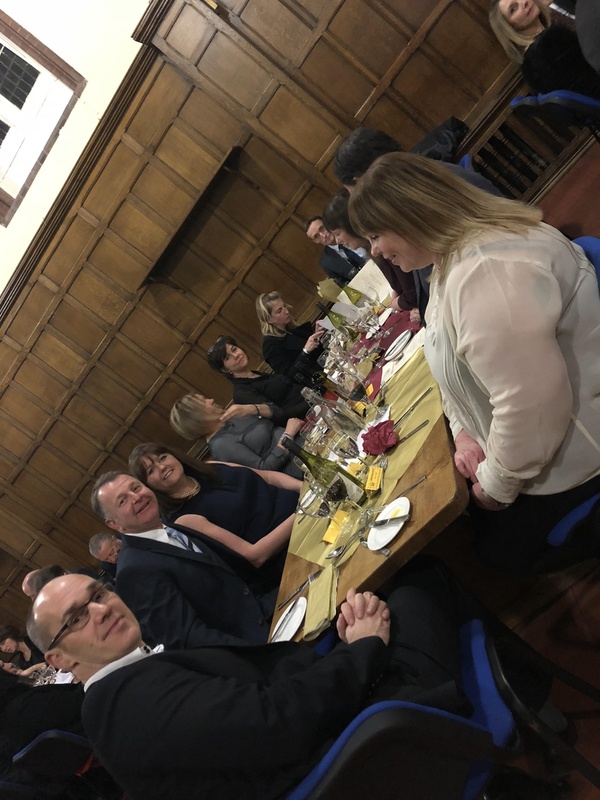 “The Talbot House dinner began with a slideshow, which looked back over the last year and gave parents and guests an insight into life within the House. The guests, parents and students alike mingled over the canapés and drinks and the atmosphere was very relaxed. 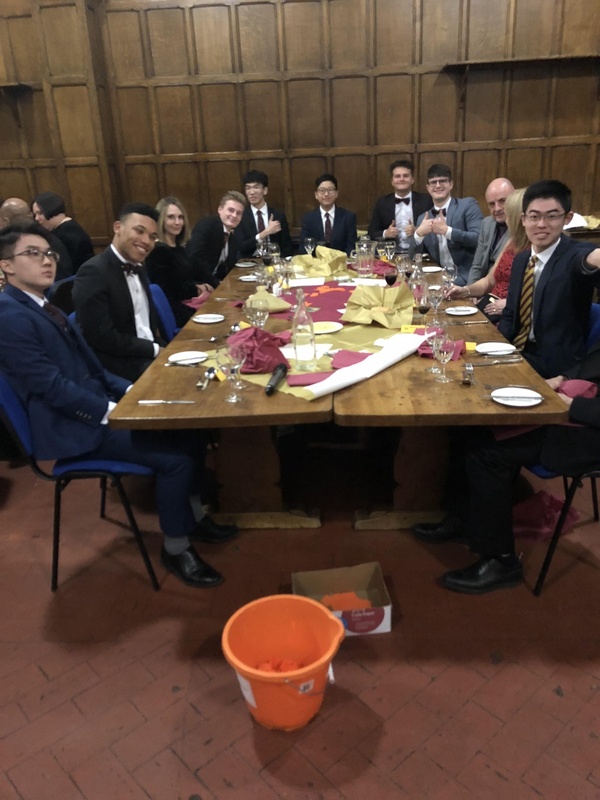 Dinner was then served, whilst guests enjoyed their starters a series of musical pieces were played by talented Talbot House musicians, Bryan Wong, Phasin Chomsomboon and Thomas Williams. After the starter, we played a game of heads and tails bingo (a game where you choose head or tails on the flip of a coin, sitting down if you choose incorrectly until a winner is found). A fun, light-hearted game that also helped raise money for the chosen charity, Rhubarb Farm. 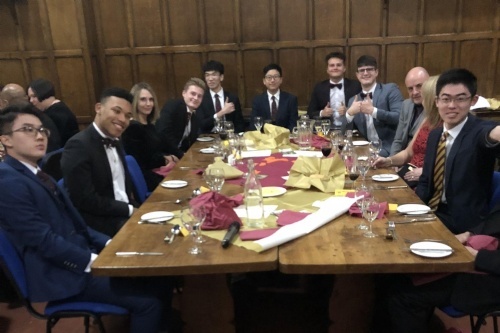 The main was then served by the amazing catering staff and received many positive remarks throughout the evening both for its presentation and its superb taste. It was then time for a bit of fun and a contest to win prizes in the form of a raffle. There were a range of prizes, generously donated by staff and parents as well as some local businesses, ranging from a bottle of wine and champagne to a weekend getaway in a Norfolk cottage, to a corporate box for 10 to watch Doncaster Rovers play Fleetwood Town. The box at Nottingham Panthers was also a big draw as was the free family passes to Center Parcs. In all, 18 prizes were available on the night and the House hope to raise £1000 for the charity. The dinner concluded with speeches from both the House Captain, Riecko Parker-Cole, and the House Master, Mr. Parkin. 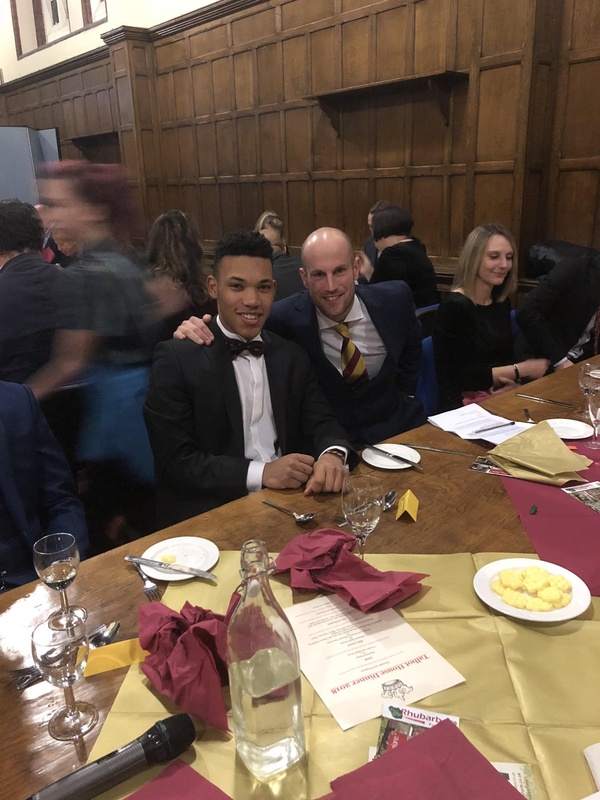 Both speeches were heartfelt and delivered a true sense of what Talbot House represents, a unity of boys and teachers throughout all year groups and, most importantly of all, friendships that will stay with the boys of Talbot House for the rest of their lives. The night ended with a string trio (Bryan Wong, James Payne and Dom Leach and some contemporary piano from Phasin Chomsomboon). The final piece was the showing of the Talbot lads performing their house song for the all the parents to see and the pupils to relive! The Talbot House Dinner truly encompassed the spirit of Talbot; a caring, friendly environment where everyone can feel equal among friends and relations, and no one can be out of place. The Dinner was a pupil-led enterprise and it just goes to show what can be achieved with teamwork.